Aren’t reflections on a year always anchored by a specific episode in time? This is mine. In November I went out on a street outreach shift. By 6.30 in the morning we were at our first destination, a police station where the waiting area had become a haven for a group of people who would otherwise be sleeping on the street. The beaming desk sergeant waved us in; he knew my outreach colleague well. Four rough sleepers were spread out across the seats. First we spoke with a woman well known to our team who was awaiting a psychiatric assessment. Her conversation ranged erratically from her being immoderately grateful for our help to threatening us with legal action if we failed to resolve her homelessness. We updated her on progress and she once again turned down our offer of emergency accommodation. Next to her was a middle-aged man staring, preoccupied, into the distance. He did not respond to my outstretched hand but as my fingers brushed his wrist he grabbed my arm and I realised that he was unable to see me. In the conversation that followed it transpired that he suffered from cataracts and glaucoma. The other two people, a man and a woman, finding respite from the cold were a Romanian couple. They had recently left a house in multiple occupation as it was becoming too unruly and they feared for their safety. The man was working legally and desperate to find some new accommodation to prevent his employment from being disrupted. The waiting room scene encapsulated the complexities of rough sleeping. For both the woman with mental health issues and the man with the sight problems the critical issues needing resolution were health related. Both had previously lived in settled accommodation which had broken down because of their support needs. Meanwhile, the Romanian couple had a simple wish for some basic, shared accommodation; a base to return to after a hard day’s work. Not too much to expect in a city the size of London – except that, cruelly, it is. This has been a demoralising year in which we have seen most forms of homelessness increase. 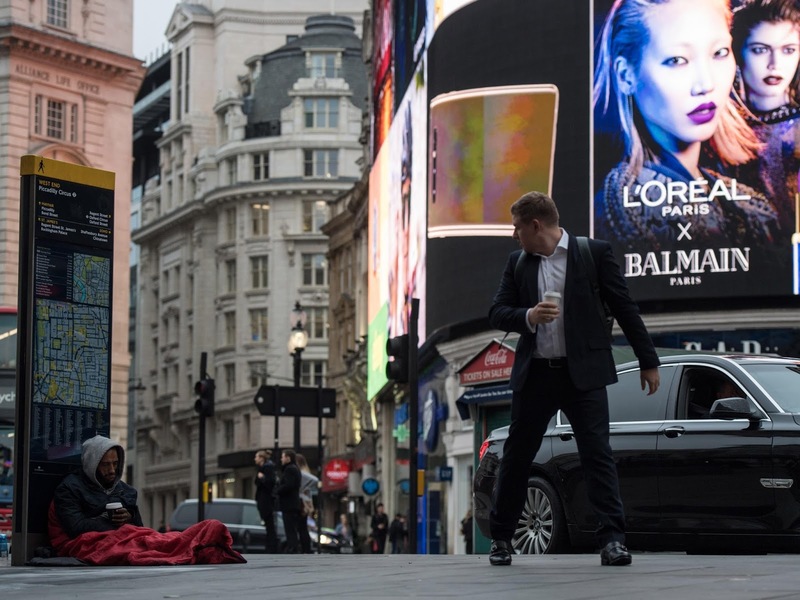 In London overall numbers have plateaued with around 8,000 people met over a year by street outreach teams. However, the number of long-term, entrenched rough sleepers has increased by 8%. 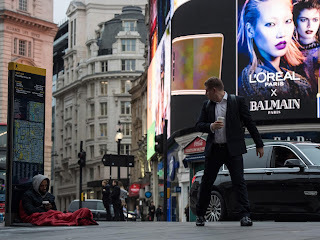 Nationally rough sleeping has reached catastrophic levels and the troublingly ubiquitous visibility of rough sleeping in our cities, towns and rural areas is a persistent reminder of our collective failure. There are encouraging signs of a greater commitment to tackle homelessness. Government funded initiatives to address homelessness prevention, new social impact bond programmes, which have a proven track record for supporting the most entrenched rough sleepers to escape homelessness, and Housing First pilots have commenced and we desperately need to see them making an impact in 2018. The Homelessness Reduction Act coming into force from April is a progressive piece of legislation which must drive the kind of constructive partnerships between local authorities and homelessness charities which were fundamentally important in reducing rough sleeping fifteen years ago. Central government, stung by damning reports from the National Audit Office and the Public Accounts Committee, the former criticising its ‘light touch approach’ appears determined to take a more direct role in tackling homelessness. The Secretary of State for Housing, Communities and Local Government, Sajid Javid, has established a ministerial taskforce supported by an advisory panel which includes city mayors and homelessness charity chief executives to draw up a national strategy to end rough sleeping by 2027. This is a welcome development but unless structures to tackle rough sleeping across the country with explicit expectations concerning delivery and clear direction on how progress will be measured are put in place quickly, hope will rapidly evaporate and cynicism prevail. This is not a time when well-meaning platitudes will be countenanced. I start the year hopeful that, driven by the gratifying strength of public feeling in response to a very visible homelessness crisis, a coalition of the committed will form, uniting not only homelessness charities and local, regional and central government but also public health, the business community and people from local communities who, affected by seeing homeless people as they go about their daily lives, want to do something directly to help. As for the waiting room people, an appeal has been made on behalf of the man with the cataracts against a negative housing decision and we hope that he can be found a place in supported accommodation. The women with mental health issues is having her case re-opened by social services and the Romanian couple was found a place in a winter shelter and the woman connected with an employment support programme. They epitomise a homeless population which needs, and deserves, so much more in 2018.